An independent financial adviser has been found guilty of forging investment documentation relating to his clients. Derbyshire Police said Martin Rigney, aged 68, invested his clients into a high-risk, unregulated collective investment scheme at a time when most of them were elderly and this type of investment was not suitable for them. Derby Crown Court heard how he forged documents by either signing signatures himself or photocopying the genuine signature of the client. The case came to the attention of police in June 2012 following an investigation by the Financial Conduct Authority into Rigney and his company, Topps Rogers Financial Management. 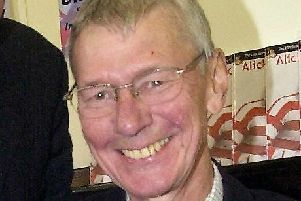 Derbyshire Police took on the case because Rigney formerly lived in Hope, and the force began a long and complex investigation. Rigney, of King Edwards, Rivelin in Sheffield, was arrested and charged with forgery. He denied the charges but was found guilty of 16 counts of forgery after a ten week trial on Thursday, July 20. Rigney was remanded into custody and will be sentenced on September 1. Detective Constable Julie Wheeldon, who led the investigation, said after the case: “His clients trusted him and he abused that trust. “It has had a devastating impact on their lives, emotionally as well as financially.